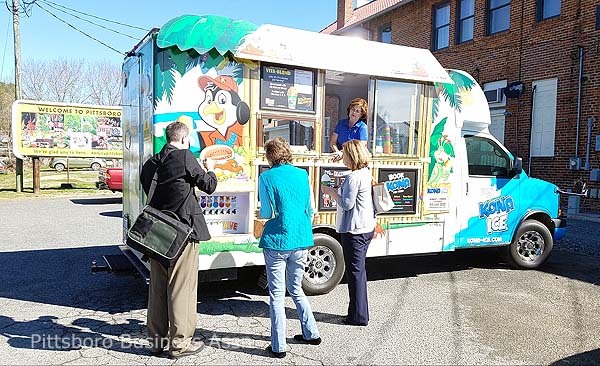 PBA members sample Kona Ice at the March members’ meeting. 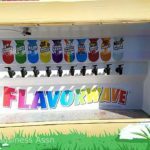 Kona Ice is a gourmet shaved-ice truck experience, waiting for you to schedule a visit at your event! 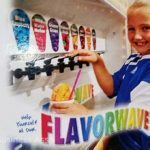 The Kona Ice truck is completely self contained and operates off batteries and solar cells, so you won’t have to listen to a noisy generator all day. 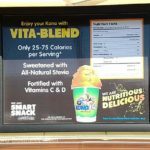 Nutritional information for Kona Ice. Some of the flavors available from Kona Ice. 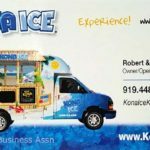 Contact Robert & Debbie Schaner to schedule Kona Ice for your event. 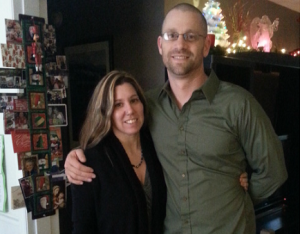 Available to visit where fun happens!